We are the go-to specialists to help small to mid-sized businesses and start-ups establish and maintain a credible online presence. Our training and experience ensure excellence in web development, mobile apps and web apps. Digital6 expertise is solid. Our diverse team includes certified solutions architects for Microsoft Azure and Amazon Web Services and certified Microsoft Trainers. As a member of the Microsoft Cloud Solution Provider Program, we can also directly manage all the subscription and support services for Office 365 and Azure. Because we specialize in cloud computing, Digital6 can support businesses in all industries to take advantage of the latest technology to open new opportunities. We help work through the decision to migrate to the cloud and then build the best cloud architecture possible on Azure or AWS. 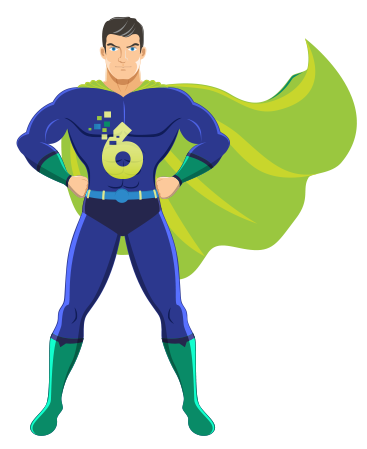 At Digital6 we understand that moving to the cloud requires assurances about security, data backup and disaster recovery plans. We have every confidence that, whichever cloud solution is chosen, we can provide the software to make sure file management is reliable and secure with safeguards for seamless business continuity. We respect the need for cost effectiveness and are pleased to provide proof of concept data necessary for compiling a sound business case. Our Digital6 Technologies team is engaged with our clients from the initial inquiry, through assessing needs, customizing cloud architecture and implementing the migration strategy to building in all the protection plans and software. We provide complete, integrated cloud cover for all business needs.